Lewis Pettengill, 77, passed away at the Clearwater Valley Hospital in Orofino, Id., on Feb. 19, 2010, after a brave battle with cancer. He was born Jan. 16, 1933, in Mountain Burg, Ark., to Charles and Nellie Pettengill. He graduated from Concrete High School in Concrete, Wash., in 1952. He then attended Arizona State University for a short time before entering the Air Force. He was honorably discharged in 1956. He then moved to California where he met his future wife in 1962. Three months later they caught a bus to Las Vegas and were married on Jan. 11, 1963. They then moved to Riddle, Ore., where he worked at Green Valley Lumber. In 1982 they moved to Rock Springs, Wyo., where he worked for Pacific Power until his retirement in 1996. They then moved to Peck, Id., so he could pursue his love of hunting and fishing. 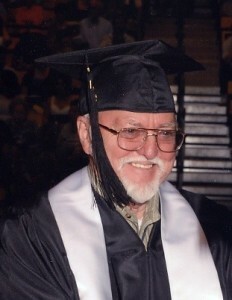 When he was 72 years old, he decided to finish what he started 54 years earlier, and that was get his degree. He graduated from Lewis and Clark State College last May with a bachelor’s degree in Political Science. He and his family couldn’t have been more proud. Lewis had many varying interests. He had a love of photography that ended with countless albums and movie slides. He wanted to pass on his love and knowledge of the outdoors, which resulted in him being very active in Royal Rangers, Boy Scouts, and Explorers throughout his life. He was a member of the Assembly of God Church in Orofino. He had a true love of what God built: the outdoors. He is survived by his loving wife, Norma; his son, Randy; daughter-in-law, Sarah; five grandsons; two granddaughters; four great-grandchildren; brothers Charles and Wesley; and countless true friends. A visitation was held Wed., Feb. 24, at Pine Hills Funeral Chapel in Orofino, Id., from 3 p.m. to 5 p.m. Funeral Services were held Thurs., Feb. 25, at 1 p.m., at the funeral chapel with burial following at Orofino Riverside Cemetery. Pine Hills Funeral Chapel & Crematory is in care of arrangements.